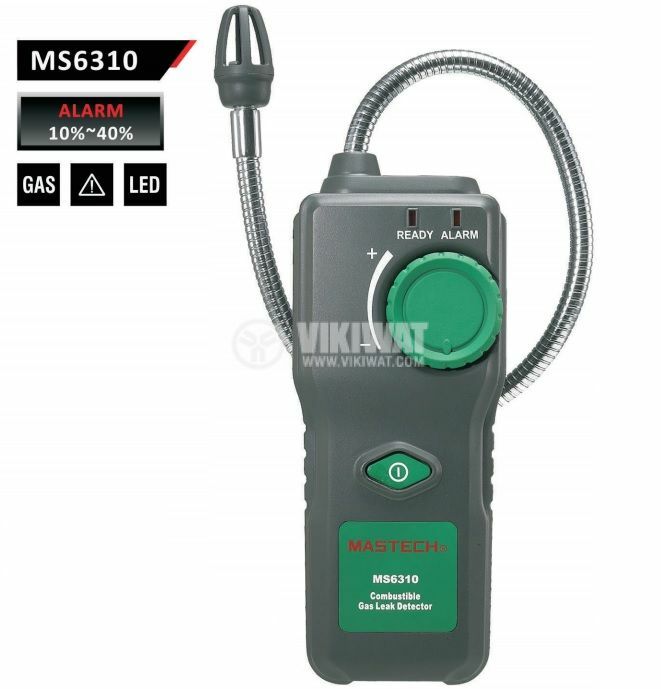 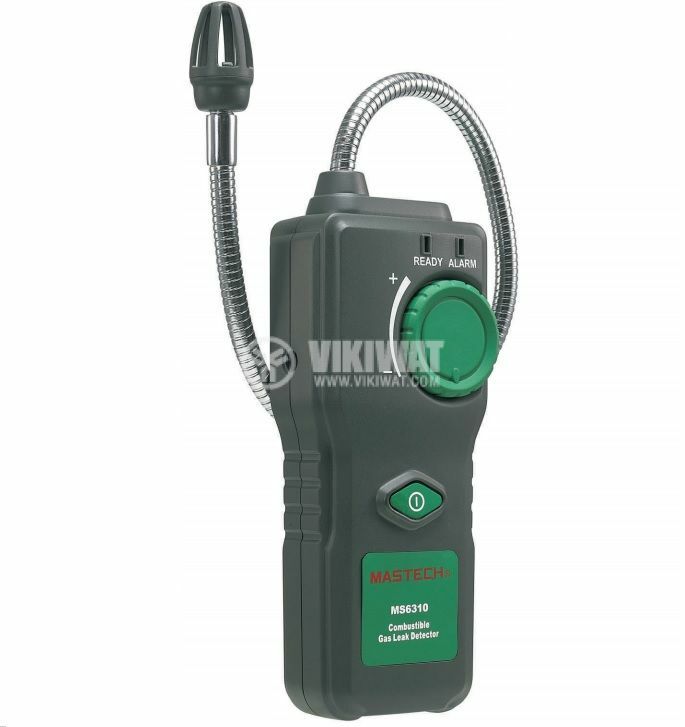 With MS6310 it is easy to detect gas leaks. 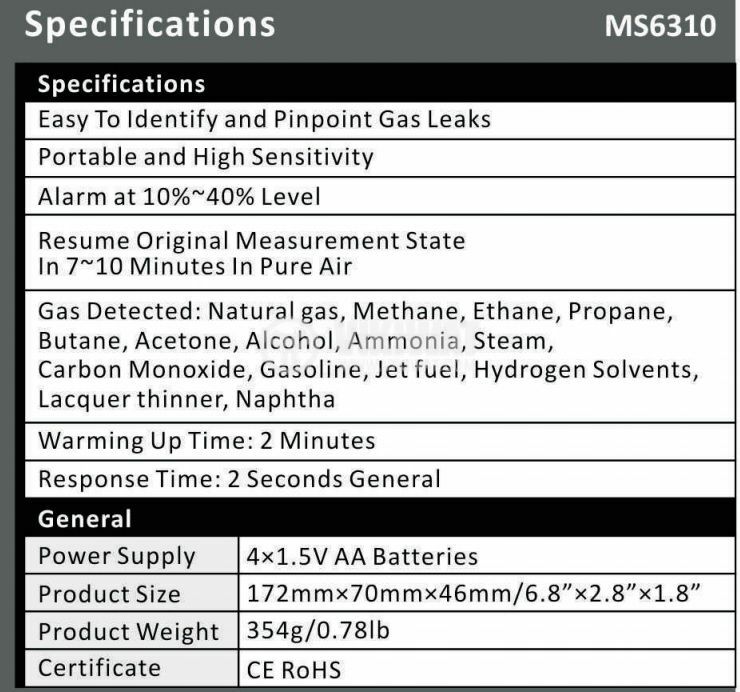 Alarm at 10% - 40% Level. 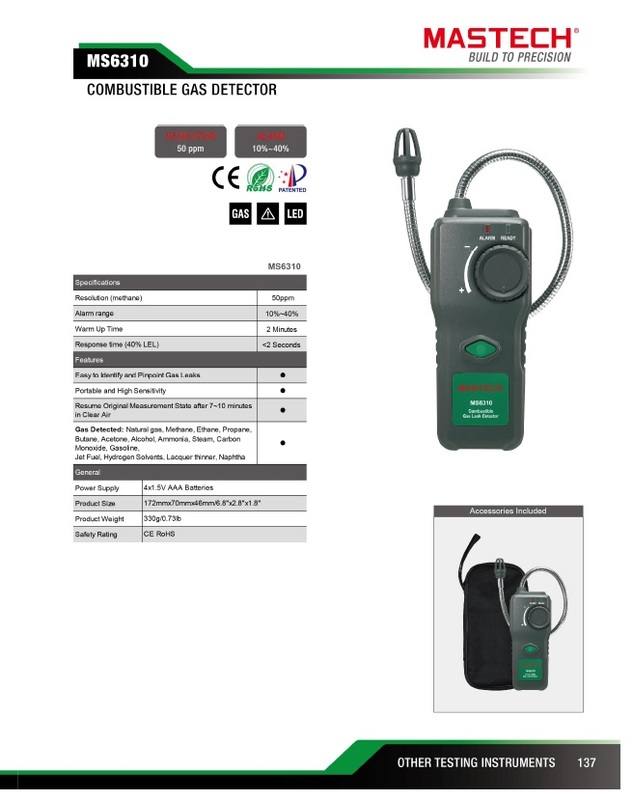 It detects: natural gas, methane, ethane, propane, butane, acetone, alcohol, ammonia, steam, carbon monoxide, gasoline, jet fuel, hydrogen.